So you’re thinking about moving abroad… | Barranquilla or Bust! Photo Credit: The amazing Exit the Cave Studios! Now that I’ve lived in Colombia a few years, friends in the US sometimes ask for information as they contemplate whether an international move might be right for them. When I think back to my own decision process, I remember how hard it was to know what to expect and, later, to figure out logistics – finding movers, getting an apartment, lining up childcare, etc. My then-husband Gio and I probably relied a little too much on House Hunters International… no kidding!… but then again, we did end up on “Best of South America: Season 1“! In spite of our TV fun, we would have benefited greatly from a website like ExpatFinder, dedicated to providing the information needed when preparing to make the leap abroad. In addition to helping you organize your move, ExpatFinder also gives you first-hand accounts of what to expect, via interviews with people living in various countries. I’m honored to be among them. Here, you’ll find my take on moving to and living in Colombia. Enjoy! And thanks, ExpatFinder, for this opportunity! 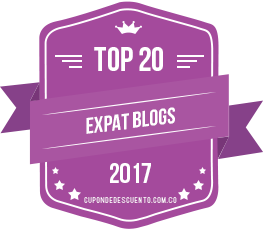 This entry was posted in Making the Leap and tagged barranquilla, Colombia, expat, living abroad, Medellín, moving abroad, relocation, south america, travel. Bookmark the permalink. 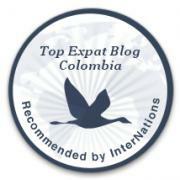 The Expat Finder site does not list Colombia. I have emailed them to inquire about this. To their credit, the interviews do ask incredibly practical questions. Great! Look forward to seeing Colombia added. Your interview was such an fun read. Great perspective. Thanks so much for your feedback, and for reading! I look forward to checking out the interview on your blog! quite similar story, and impressive too. Loved it and go ahead with your dreams.